People should use their right to vote in democratic countries. After all, it’s their voice and it should be heard. People who don’t vote probably don’t vote because they are ok with how things are or they are tired of not having their voice heard. In the frame of Erasmus+ youth exchange A European Dream, organized by APIS Institute from Slovenia with partner organisations from the Netherlands, Poland, Turkey and Northern Ireland, 25 young people came together for 9 days to discuss their views on Europe and European Union, democracy, national and supranational identity, and citizenship. These are their opinions. 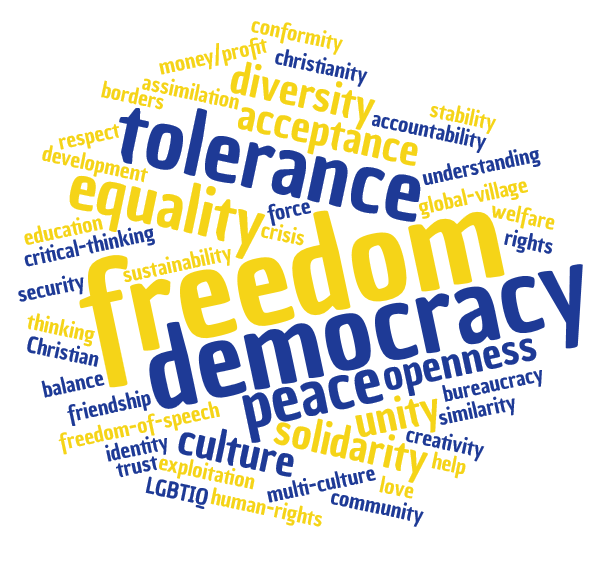 What does being a European citizen mean to YOUNG PEOPLE? Do THEY feel like European citizens? Participants say that when it comes to political questions, they are more focused on their own country; they feel part of Europe as a cultural space, an ever greater family beyond their direct relations. This family offers freedom of self-expression. “Even as an immigrant I feel European because Europe is the only place where I can be the person I want to be,“ says one of the participants. Europe symbolises unity and connection; young people say that their past, present and future are directly entangled with other Europeans, and that they, and their culture, are accepted and respected by the European community. To them, European citizenship means to act together for a purpose; specifying a vision and acting accordingly is the core of unity. But there is frustration as well – especially for participants from Northern Ireland. Among the positive effects of the EU, the participants list free movement of people and goods; ability to travel, work and study abroad; international exchanges; treaties on trade; support of science; education; social security; rule of law; stability; EU court; better healthcare; easier transfer of knowledge. Traveling abroad without a visa and open borders within the EU – the Schengen Treaty – are mentioned every time. Young people believe that by removing physical borders between nations, we can bridge the gap of ideological barriers between people too. says a Turkish participant, who needed two months to get a temporary Schengen visa. “Knowing that your state is under authority of another structure makes you feel more comfortable. Because if you know something is wrong, there is another authority to make it right,” says another participant. 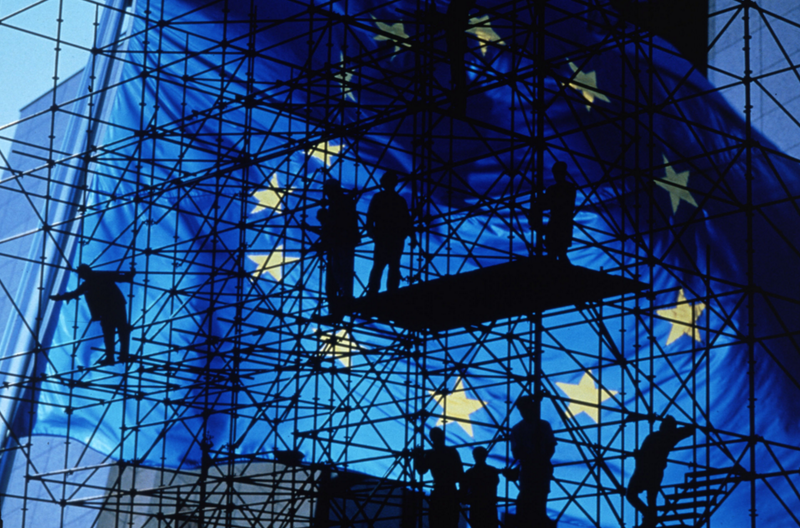 Although young people appreciate the connection and interdependence of European member states, they are aware of its dangers too. They know that the instability of one government affects all EU members, and they are especially worried about smaller or ‘unstable’ nations losing their voice. The economic ideology keeps some of the countries really poor and there is little space for local and non-capitalist economies, they say. As mentioned above, participants in general believe that if something is wrong, Europe is an authority that can intervene. But others are skeptical about this. Democracy is a word that pops up here and there, and participants spent a lot of time on the exchange discussing it. worries one of the participants, while others believe that democracy brings less equality, responsibility and accountability. What do young people think about people not using their political right to vote in the elections? What might be the reasons for not voting? how to increase youth participation in political and social processes/events? Participants agree that the main reasons for people not voting is that people don’t believe in change anymore, that they don’t see a direct cause-reaction connection between the EU and their daily lives, and that they are not educated well on political matters. They don’t believe that young people have much knowledge about politics; the government and schools need to do more to ensure that young people and teenagers know about politics and the importance of voting. tells us one of the participants. Experimental learning and non-formal education (NFE): young people criticized the education systems in Europe, emphasizing the importance of experiencing the importance of decision making and implementation via roleplay and other experimental modules, as well as traveling and exploring. Non-governmental organizations (NGOs): NGOs should be encouraged to inform youth and encourage them to explore and be willing to be part of these processes and events. Voting rights: citizens should be allowed to vote from a younger age. One of the participants points out the issue of age-limit on vote: “Being 18 to vote is a big issue to me!”. Role models: political engagement of young people’s idols would motivate young people to participate more; also, seeing them change things would make them more motivated as well. International exchanges: “Programmes like this are ideal. Very politically-minded youths and those who are less so are brought together to discuss with each other. Youth exchanges are a valuable opportunity for people to find their political voices.” Young people insist there should be more possibilities for youth to meet and exchange their views about the EU. The media: there would have to be a more positive representation of ‘being political’ in the media. Youth participation on local level: NGOs and municipalities should work together to increase the participation of young people. Formal education: schools on all levels should teach more about politics, including voting and getting to know how the law works. But youth are getting involved in politics again, they believe. The youth exchange was financed by Erasmus+ programme. After the exchange, young participants are excited and looking forward to the future; such exchanges bring youth together and make them feel more connected. “I am now proud to say I am European. And I now feel that I am a European citizen,” writes one of the participants. “To be European means to value fundamental human rights, and to respect values of different cultures. I feel that everyone I met on this exchange is my neighbor,” says another. In their opinion, the importance of the Erasmus+ programme is to educate youth on the value of the EU, to learn their place within it, and to spark an interest in politics in those who didn’t think about it before. To help young people realize their strength in changing the future of the EU and of their country. This summary was written by Sara Širnik, European Dream YE project coordinator. It is based on the conclusions reached by youth during European Dream youth exchange, organized in May 2016 by APIS Institute.